2019 was the year we realized social media was failure. When Amazon, Apple and Facebook build privacy centric ecosystems around subscriptions and walled gardens, you know one thing, open platform social media models have failed. From our early experiences with online identiy and the positive atmosphere of the first web — you may not be old enough to remember — BBSes, Usenet, LiveJournal, blogosphere, even Myspace, early Twitter and Facebook — consistently made people happier. Somewhere along the road, with the popularity and addictivenes of smartphones and apps, this all changed. Social Media failed because as Jon Evans pointed out in a recent TechCrunch op-ed, the modern social media algorithms drives engagement, because engagement drives advertising, and advertising drives profits, which are then used to hone the algorithms, and it has basically made people miserable. Facebook discovered that too, to the point where increased social media usage makes people more sad and lonely. There’s also some evidence depressed and sad people will use social media more, as if to correct something in their lives, and it can backfire terribly. In this sense all those articles saying social media is the next smoking, are kind of right. Social media depersonalizes connection, and some people substitute it for real connection, and guess what, that’s not actually healthy or a good choice to make. When apps were socially engineered to hack us, to make us replace real connection with digital dopamine, something went terribly wrong in the history of social media. It’s hard to pinpoint when this occurred, but likely somewhere around 2016. That’s worth pondering and realizing, that social media has failed due to too aggressive a design. That digital dopamine creates such an infatuation that the entire relationship with such platforms becomes like a bad relationship. That’s typically when we find ourselves quitting Facebook, quitting Twitter, quitting Reddit, or any other social media app. We break up with social media apps, because we realize they are taking more from us than they give. We evolve, we outgrowth them, but they stay the same. New research reveals how social media platforms like Facebook can greatly affect your mental health. That empty feeling from overuse of Instagram, Facebook or any other social platform demonstrates how apps fill a void imperfectly, and can actually make us feel deeply more lonely. And, that’s a problem for advertising fueled social platforms. The mental health sacrifice is too large, it doesn’t sustain healthy user retention. Placing advertising at the center of the internet, simply isn’t viable in the long-term. In Asia you can find many useful things on apps such as WeChat, Meituan or Grab, Alibaba and so many other apps. However in the west on social media platforms like Instagram, Facebook or Twitter, that's simply not the case. From information overload, to social comparison, or trolling on Reddit, we just get burnt out, it’s not a useful experience. You can’t do as much with it, there’s limited online to offline utility. Social media in the West failed to become super apps, they didn’t evolve mini-programs, they just stagnated in hijacking attention. There’s a ceiling when you harvest data and make apps as addictive as possible. Those apps they didn’t allow us to connect to businesses or utility like convenience, they only hacked our attention, which amounts to a fraudulent or poor design for people and for social good. The true programming beneath the western social media apps just seems to be algorithms at the service of advertising. This is especially evident on Microsoft’s LinkedIn, where Ads noticeably litter the feed like spam. It makes you wonder what being a “professional network” truly means after all, the Ads themselves are businesses trying to lure other businesses, totally irrelevant to 99.999% of users. Somewhere along the line, advertising broke social media. In 2019 we are seeing a pivot of the entire internet to subscriptions, paywalls, private walled gardens, even stablecoins. Is a celebrity I like to follow on Instagram going to change that for me? It’s an irreversible trend. The social media experiment of Snapchat, Twitter and even Instagram has failed for the most part. It’s repetitive and stale, and it doesn’t have a future. Stories, chat apps and mini-programs have a future, but not social media as we used to know it. Studies have linked the use of social media to depression, anxiety, poorer sleep quality, lower self-esteem, inattention, and hyperactivity — often in teens and adolescents. China’s Bytedance have used the private info of children without their consent. Facebook has seen scandals rock trust in their platform of apps. What kind of a family of apps after all, abuses you like Facebook has our personal data? No, social media apps aren’t just the new smoking. Social media platforms have actually failed and private ecosystem are all that we have left. Consumers have been moving away from personal sharing on open platforms to video entertainment for quite some time. Away from Facebook and towards Netflix and YouTube. YouTube after all has some semblance of education, and Netflix demonstrates how streaming is replacing TV and social media with more original content and less privacy invasion. Social media has failed, we just don’t like to admit it. 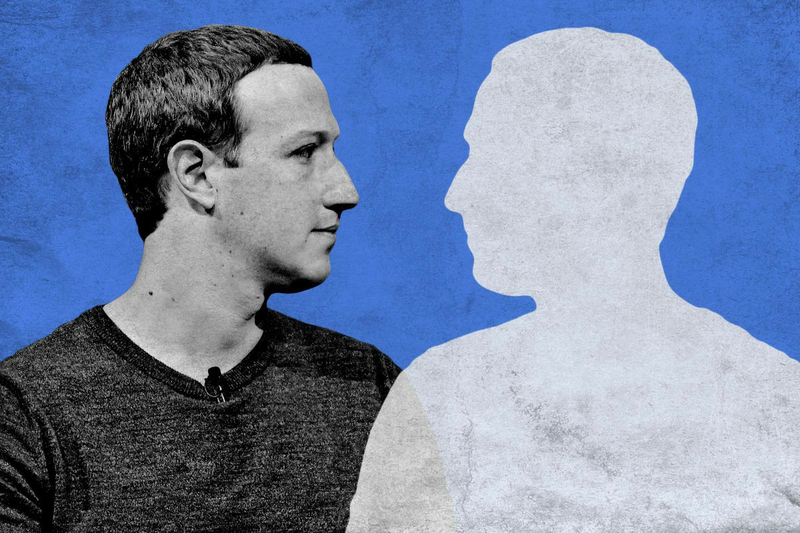 Facebook’s business model is in trouble, and that’s why they are joining Apple in moving to a more walled garden approach to messaging, privacy, connection and advertising in a unified encrypted messaging context. What the social platforms built has started to crumble, young people don’t care anymore about them. Social media is now recognized as a toxic place. We’re moving on now. In 2019 we’re breaking up with apps that don’t treat us right. Our mental health and sleep are more important. Meanwhile Apple, Facebook, Amazon and Google are building walled garden ecosystems to lure us into their unique world of value, but it won’t feel like social media anymore. It will be more like entertainment ecosystems where there will be a price. Our time, data and attention is all bought and sold on the internet, we aren’t as naive as before.